Set toes directly under barbell. Bend at hip and knee with body weight over the toes. Keep arms straight and elbows out, with double overhand grip; Pull 1: Hips and shoulders rise up together; Pull bar back into body – NO Jump and Shrug; Pull 2: Bring body to the bar; Change directions and lower the hips directly under bar into a Squat under the bar; Drive legs into floor toward upright standing position; “rack” bar at shoulder level. 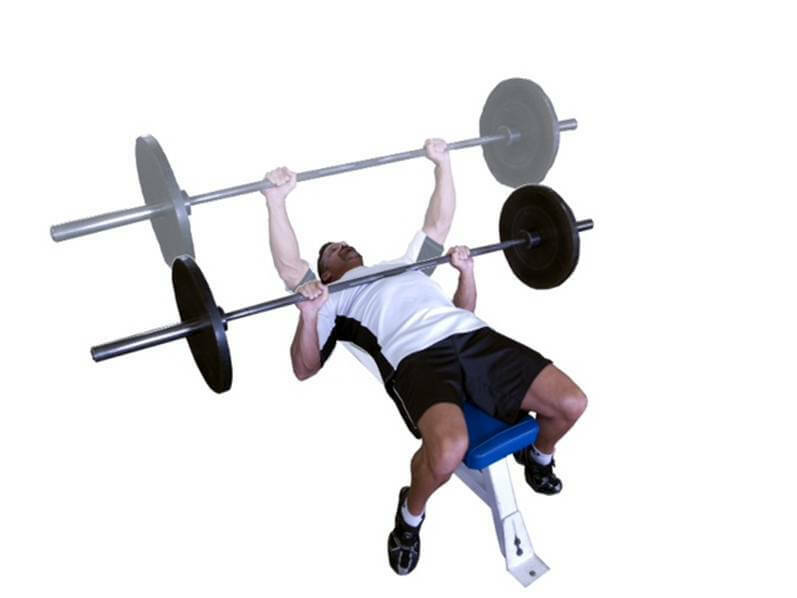 On the horizontal flat bench, shoulders and hips must stay in contact with bench and feet must touch the floor. Use hand grip of choice (wide, narrow, full, thumb less) and align starting position in rack at arm’s length with eyes below barbell. Lower the barbell bending at elbows and touch chest at lower rib cage just below the pecs. Press upward and backward toward forehead until elbow joint is locked and arms are straight. 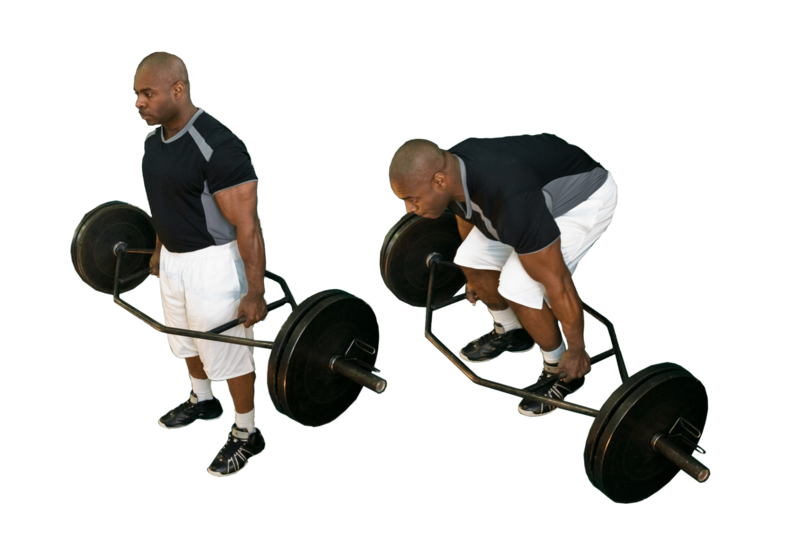 PowerX Sport uses the Hex or Trap barbell for the deadlift, not a straight barbell. Feet are hip-width apart. Grasp handles firmly in middle. Keep head/neck neutral. Point toes forward or slightly outward. Use ½ squat depth bending at knees and hips; Keep body weight back on heels. Pull bar up with straight arms; Lead with Chest; Keep knees flexed until back and shoulders are vertical.